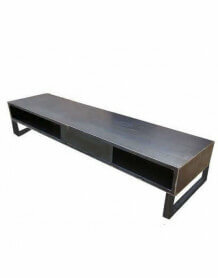 Industrial TV unit with casters black metal, with shelves and solid wooden top mango and patina to the old. Ideal for decorating a loft, industrial. Here, materials and shapes combine to create an industrial atmosphere and a daring decoration in your room! No need to live in a loft or studio rehabilitated to offer an industrial unit. 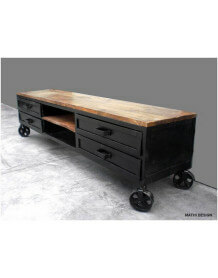 The set is on 4 large wheels that make the charm of this furniture.